VietPress USA (July 25, 2018): Today at the Rose Garden in the White House, President Trump declares it is a very big day. 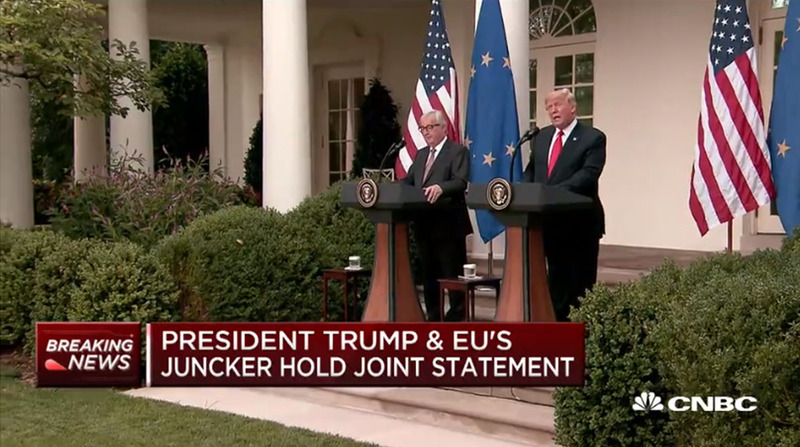 At a Press Conference, Trump introduces European Commission President Jean-Claude Juncker for a joining statement on sorting out the trade war between the U.S. and European Allies. 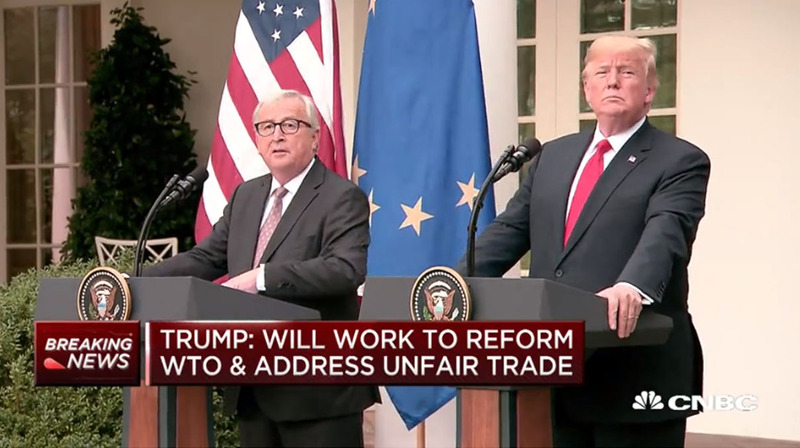 WASHINGTON (AP) -- President Donald Trump and European leaders pulled back from the brink of a trade war over autos Wednesday and agreed to open talks to tear down trade barriers between the United States and the European Union.